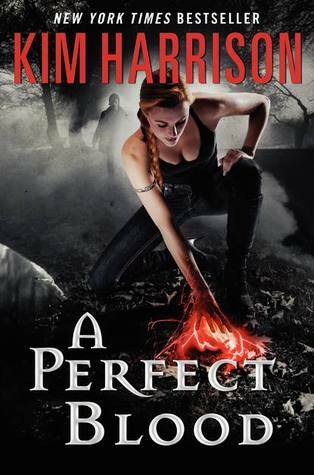 A Perfect Blood, by Kim Harrison, hit shelves a few weeks ago. The tenth book in The Hollows series is another exciting blend of action, magic, and a little bit of romance. Ms. Harrison is finishing up the book tour for A Perfect Blood (sadly, no stops in Texas), but she’s also working on a new young adult series, and there is a chance The Hollows could end up on television—bringing a new twist to the current crop of vampire shows. Rachel Morgan has finally accepted who she is: a demon. She’s accepted it, but she hasn’t made peace with it yet, having cut herself off from her magic. The real world hasn’t accepted her yet, either. She’s no longer shunned, but demons have no status as citizens, and she can’t even get her driver’s license renewed. As if dealing with bureaucratic red tape isn’t bad enough, bodies have started showing up all over Cincinnati, bodies that have been mangled and twisted into demon-like shapes. Called in to help investigate, Rachel soon realizes a terroristic hate group is responsible; intent on creating their own demons to wipe out all Inderlanders. And her demonic blood makes her a prime target. With vampire Ivy and the pixie Jenks at her side, she’s eyeball-deep in the investigation, and determined to put a stop to the horrific deaths. But being cut off from her magic leaves her almost defenseless, and she finds herself turning to elven businessman Trent for help. Is he helping her to alleviate his own guilt for her situation, or is there something more going on? A Perfect Blood is full of Harrison’s wonderful details that bring the Hollows to life. From humans’ fear of tomatoes—and, therefore, pizza–to Jenk’s Tinkerbelle-based cursing, the whole world is vividly detailed and imagined. The book is full of action as Rachel manages to wedge herself ever-deeper into trouble in her quest to help others…without getting herself killed in the process.